Shangri-La is extending the loyalty programme to members of Alibaba Group’s travel agent platform Fliggy. 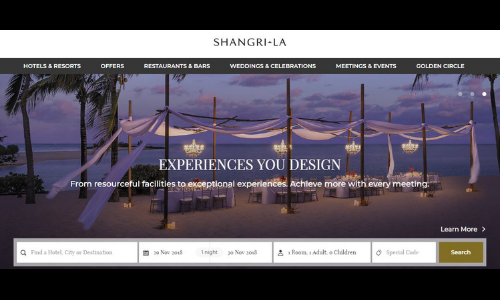 Shangri-La is the latest addition to Fliggy, which has already collaborated with other heavyweights including Marriot International, American Airlines and Singapore Airlines. Under the new collaboration, Shangri-La’s “Golden Circle Frequent Guest Programme” will extend to members of Fliggy. This is also the first time Shangri-La is introducing a benefit-exchange programme covering all loyalty programme tiers – gold, jade and diamond – to members of an online travel platform. All Fliggy members will be eligible to become gold members of the hotel group’s programme. Fliggy’s F2 members who have spent five nights at a Shangri-La hotel will become eligible for “Golden Circle Jade” status and accompanying privileges, such as extra Golden Circle award points, welcome amenities and late checkout. F3 members are required to spend as few as only one night at a Shangri-La hotel to be entitled to “Golden Circle Jade” status, and an additional 10 nights over a three-month period for a chance to earn Diamond membership. “Fliggy and Shangri-La will provide more and better travel offerings to consumers as the travel sector transitions into the digital age. We look forward to seeing the fruits of the marriage between Fliggy’s extensive user base and the highly acclaimed Shangri-La brand,” Angel Zhao, president of Alibaba Global Business Group, senior vice president of Alibaba Group and president of Fliggy, said. Mere association with the largest online leak is outright damaging in the eyes of the public. What should those named in it do? ..